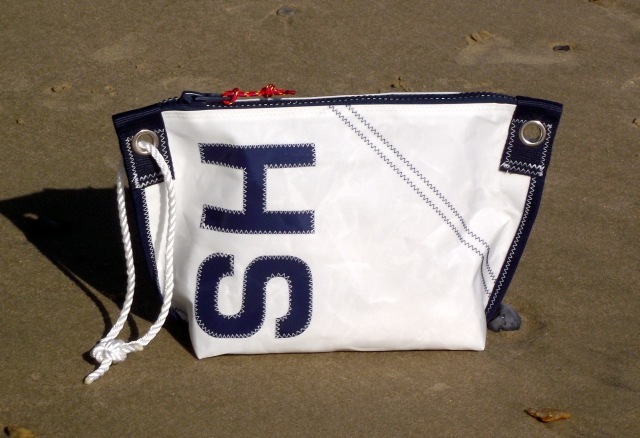 Our nautical personalised sailcloth wash bag with rope handle. The photo shows it in the classic marine colours, navy blue and white. We can add up to two 4" letters and/or numbers that are cut out by hand and then sewn on with traditional sailmakers zig zag stitch. 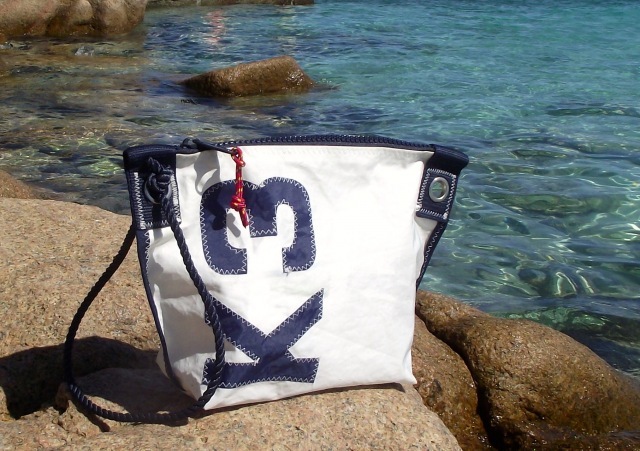 We offer you a choice of beautiful bright colours, including white, for the body of the bag. We also give you a choice of colours for the letters and/or numbers that are sewn on. Lastly, we offer a choice of zip colour, which has a coloured pull cord. 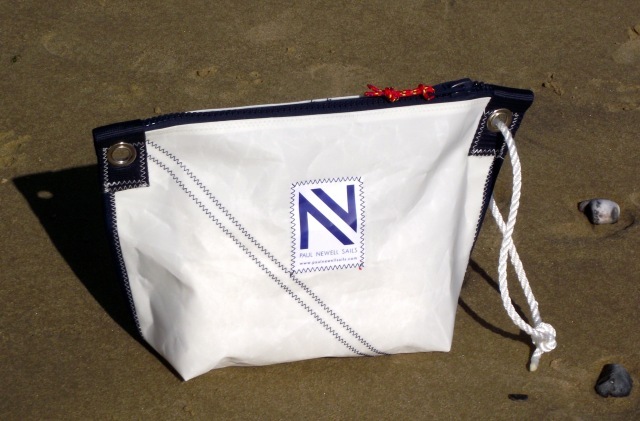 There are two nickel plated brass eyelets on either side of the bag. A rope handle is attached through one of these. 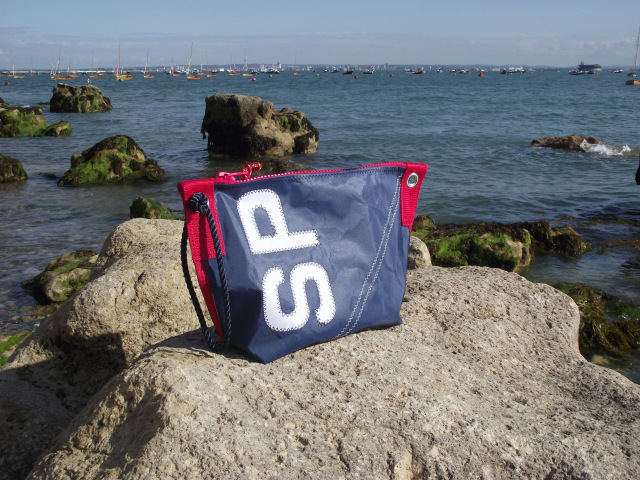 This allows the wash bag to be carried on the wrist, leaving your hands free. They make great presents for the man who seems to have everything, and they are popular with the girls too. Boys and girls will love their nautical look. They are practical and ideal for toiletries. They can also be used to carry other small essential items. They are great for holidays as they are very lightweight and very strong, and can be washed and dried naturally quickly. Height 22cm x Width 33cm x Depth 10cm. Wash gently at 30 degrees centigrade, rinse and dry naturally.